Sony seems to have some kind of problem with screws. 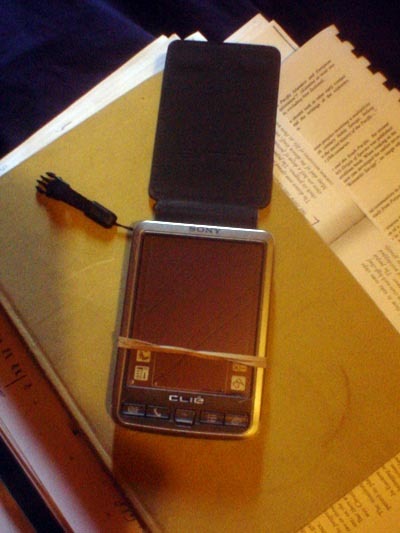 Last year I noticed that several of the tiny screws in my Sony Clie handheld device had come loose. I tightened them, but several months later some were completely missing, and despite readjusting those that remained, within a short time every single screw that held the shell together was gone. I have had an elastic band around the handheld so long that the first one dried up and turned to dust and had to be replaced by another elastic band. 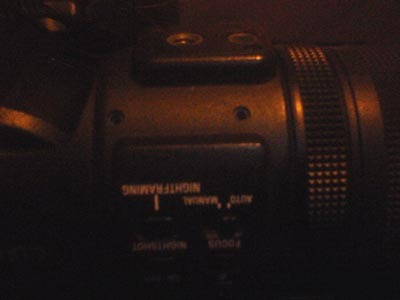 This evening while cleaning the lens on my Sony Cybershot F828, I noticed two strange holes in the side of the lens assembly. It turns out that four, yes FOUR of the tiny screws are missing from my camera. I checked and three others were loose. I guess I’ll have to go to a store here and find out if I can buy some tiny screws cheap or if I need to do the whole warranty thing with Sony to get my hands on them. Well, for starters, you need to buy some Locktite (not my spelling). Make sure you get the right kind; the people at the hardware store can help you, camera stores sell it too. Screws are generally in well-defined sizes, but if you don’t know the lengths you might have problems (too long, it pokes into things inside, a Very Bad Thing for electronics, too short and it doesn’t hold things together). and i finally got some time to read your journal. it has been sunny for a while in vancouver. it rained a lil today. how’s everything going?! I’m not going to kits, I don’t want to anymore, and while dad said I could go, mom said I couldn’t anyways. I partially dislocated my arm again this morning…but I went to a chiropracter last saturday (a week ago) and she gave me excersizes and while they temporarily make my arm a lot weaker, they’ll hopefully make it better in time! love you lots! have fun! You have been visited by the Screw Gnomes. You can usually contact the company and get replacement parts. If you send a letter/call and make it sound like you are very disappointed or that you feel that it is a safety hazard, they often will send you replacements or other stuff for free.